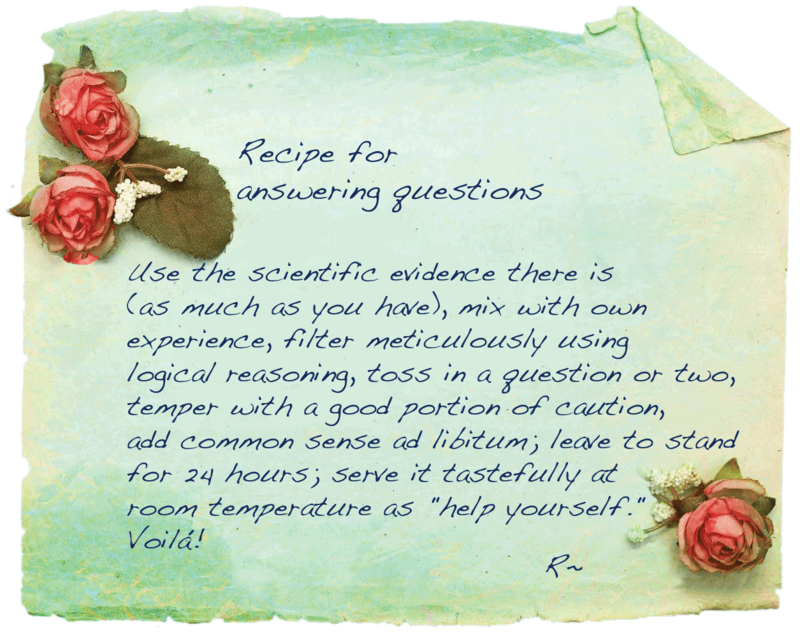 Today, my friends, I would like to give you the recipe I use to answer your questions. Feel free to use it as you please. When you ask about a well-researched topic, it’s easy. I check the relevant literature, weight arguments, come up with a conclusion and answer you. On the other hand, when you ask about a subject-matter not so extensively studied, I have to think more carefully. Your question may be difficult to answer for different reasons. Maybe it depends too much on unclear definitions. Perhaps, a plausible answer builds upon how we measure evidence. Sometimes, your question is too broad. Whenever I face questions like those, I stick to my home-made recipe, the one I give you here, one inspired to me by the great masters. Composing my answer, I have to be overly prudent, for disagreement and controversy befall so readily—the nemesis of the writer sitting on my shoulder—no matter which words one chooses, someone can and will misinterpret them. Finally, allow me to remind you, we do not always have bullet-proof explanations to everything, in which case suspending judgment seems to me the wisest approach. Then again, we don’t need to have all the answers, to be able to contemplate life with wonder and to enjoy it fully.